[Wednesday, March 28] – Dog owner Vlad Fesenko tells us his lost puppy was located near Sky Blue Mesa Elementary School in Canyon Country, and thanks to a man named Ron, she’s back safe and sound with her family. Yesterday, March 26, my dog got out of the backyard. My house is on the Pleasantdale-Deeptree block, right behind Sierra Vista Junior High School. Her name is KALI. 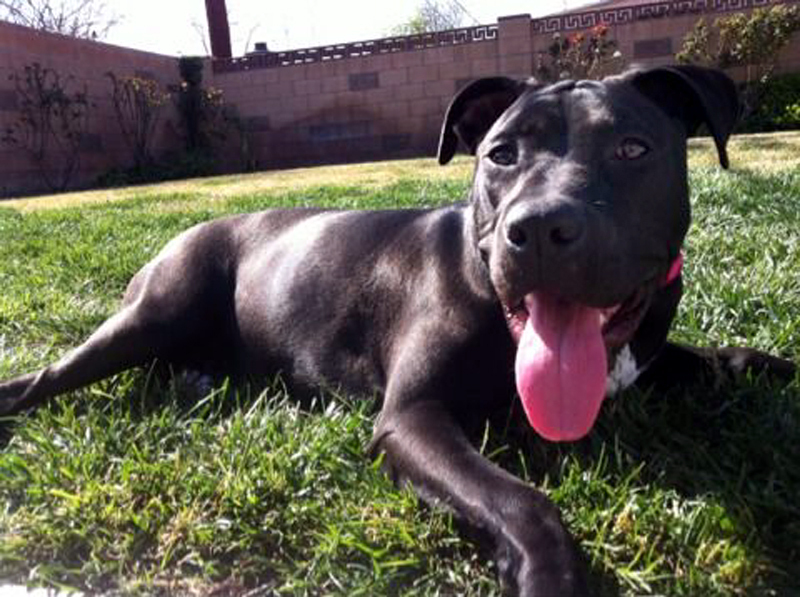 The dog is a 10-month-old Labrador-Pitbull mix. She’s all black with white chest and bit of white on her back paws. She has distinctive tiny scar on her left thigh. Might still be wearing her pink polka-dot collar. Her tag snapped off as she escaped and she has no tags. She’s a very energetic and people friendly dog – jumps and licks everything that moves. 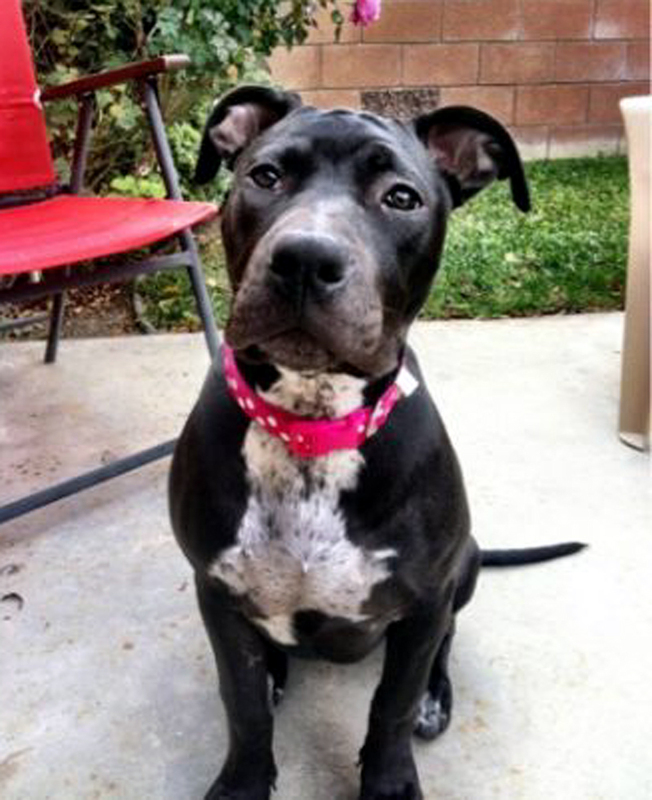 If you have any clues, ideas of her whereabouts please contact SCVNews.com at info@scvnews.com. I would appreciate any news. Thank you for your time.